The completely customized design option is for couples seeking a completely unique wedding stationery package. We strongly believe in collaboration and work closely with you to create a one of a kind design made just for you. Do you already have a favorite invitation in our shop? If you choose from the collection of pre-existing designs we will customize the invitation of your choice with your wording and colors. Looking for a touch of luxe to your wedding suite? 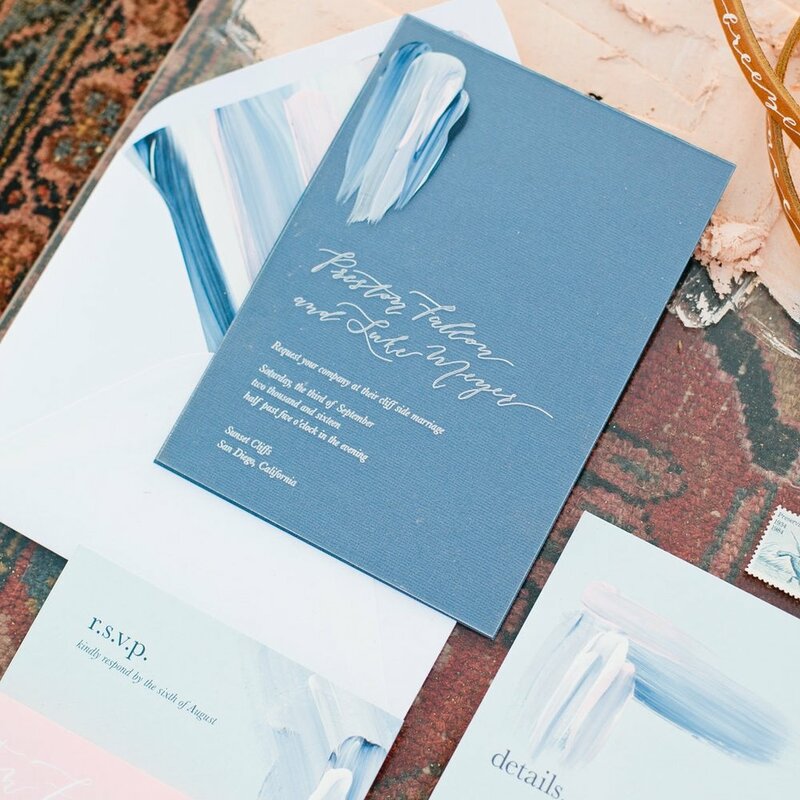 From foil to oil based ink, letterpress is the perfect way to honor the old-style print method and add a touch of elegance to your day.